Rishel has performed a valuable service to writing teachers and students all over the English-speaking world by creating a complete textbook of the creative writing of humor and comedy. As a bonus, it is easy to use and fun to read. Providing both theory and praxis, this insightful and creative textbook explains how to write humor, comedy, satire, parody, nonsense, and both the literary and the joke monologue. Through its close analyses of short stories, sketches, essays, and scripts, it is a must-read for serious and not-so-serious writers of every genre. Guiding aspiring writers through the many techniques for creating humor, it illustrates and analyzes what works and what doesn’t, suggests ways to energize passages that fall flat, and offers insights into brainstorming, team writing, and revision. This book includes the history and cultural background of each major genre, followed by a rich array of writing exercises. Readers will find an inventive selection of examples to learn from, including a script from M*A*S*H and pieces by such humorists as Woody Allen, Ogden Nash, and Art Buchwald—and by students as well. Mary Ann Rishel is an associate professor in the Department of Writing at Ithaca College. [Writing Humor] will fill an important need in the academy as a highly accessible writing text for students and readers who wish to engage in the concrete task of writing humorously. It will give them an understanding of where the many different humorous styles fit in the long sweep of world history and social behaviors across many cultures, of the pitfalls and traps for the unwary, and the myriad proven techniques and twists to heighten laughter and funniness. Its principal and original contribution is that it pilots a sound course into the confusing waters of 'where should I start writing?' without either discouraging the would-be comic writer or allowing them to believe for one moment that perfection comes easily. 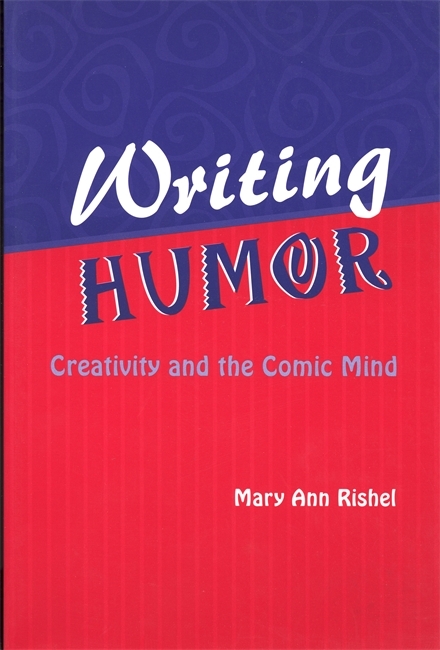 Even for students not planning to become comedy writers, Professor Rishel's book is valuable because she demonstrates how the skills needed for the writing of humor are the same as those needed for many other kinds of writing: originality of vision, a keen eye for observation, inclusion of the telling detail, and most importantly, succinctness. Rishel's book is an entertaining introduction to the art and craft of writing humor that makes it easy for the student to enjoy the task. It is a wonderfully well-organized and well-written handbook to help many people (from novice to expert) learn to incorporate humor into their writing. Writing Humor combines well-chosen examples with practical suggestions, and will be a tremendous resource to writing instructors all over the country. Rishel's writing ability combines serious instruction with a light-hearted and witty presentation. It was a delightful experience to browse through a textbook that will appeal to faculty members because of its scholarship and to students because of its engaging style. I strongly recommend this book. Rishel has performed a valuable service to writing teachers and students all over the English-speaking world by creating a complete textbook of the creative writing of humor and comedy. As a bonus, it is easy to use and fun to read. Aspiring writers of humor material of all kinds can learn from Rishel's work." Although intended as a text for a class in comedy writing, Rishel's book provides information and exercises that can hone anyone's sense of humor. Unlike most how-to books, this one includes extensive background material and an up-to-date and thorough bibliography that cites even competing books on humor creation.